The SH SOLAR E line is equipped a large 119 l heating tank and can be produced in several heating sizes from 18 kW to 54 kW depending upon the temperature requirements and available electrical network. Electrical heating is pollution free. The integrated PLC enables machines to be personalized with a range of factory mounted options. 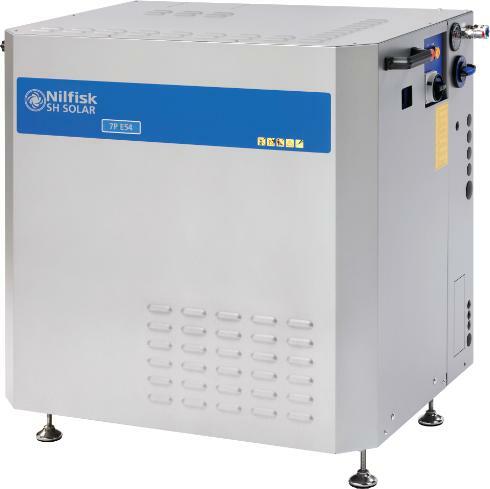 A feeder pump prior to the high pressure pump ensures that the machine can reliably produce a max temp of 85°C, pre-heated in the tank placed before the pump. Thanks to the pre-heating tank, hot water is available as soon as the spray gun is activated.